The grape is a fruit that grows in tight clusters. It has a white or purple flesh of sweet taste, eaten raw or in juice, although it is chiefly used for making wine. They are also used to make preserves. It contains various minerals and vitamins, and it is considered to be antioxidant and anti-carcinogenic. Grapes have been employed for a long time with healing purposes. They are laxative and diuretic, specially recommended in cases of weakness or low body defences. They are good to depurate blood and they also prevent osteoporosis. Grapes are fleshy, rounded fruits that grow in clusters made up of many fruits of greenish, yellowish or purple skin. The pulp is juicy and sweet, and it contain several seeds or pips. 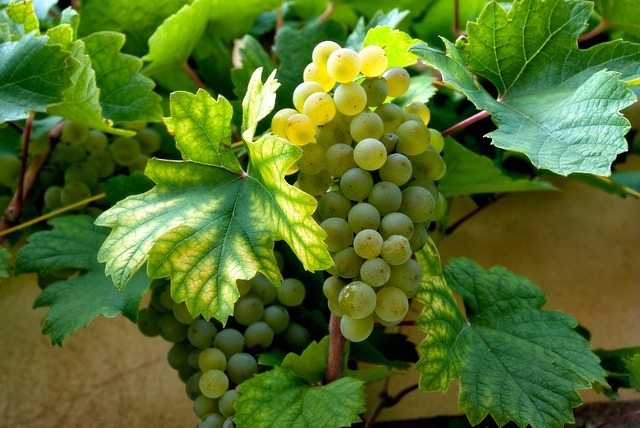 It is a well-known fruit; it is eaten raw, although it is mainly used for making wine. Raw grapes are excellent as table dessert, combined with other fruits in fruit salads. Great part of the production is intended for making wines and must, whereas from their seeds we extract the grape seed oil. The clusters are dried to make raisins; besides, there are multiple preserves made from grapes, like caramel grapes, grape syrup, grapes in alcohol and grape jelly. Grapes supply minerals and vitamins to the organism. They are one of the fruits providing more carbohydrates, although their caloric content is not very high. They contain resveratrol, an antioxidant and anti-carcinogenic compound. From the antiquity, grapes have been given various healing properties. The grapevine belongs to the family of Vitaceous and the sort Vitis. It is cultivated forming shrubs. It is a climbing plant that has a kind of earrings to climb up. It may grow up to 17 meters high if it is not taken care of. Their leaves are alternate and lobulated, composed of five main nerves. They characterise the different varieties. The flowers, of small size, are grouped forming clusters. The petals are free in their base and joined in the apex. The fruit is a berry containing hard seeds. The size ranges from 12mm to 24mm, and varies according to the species. The shape may be spherical, elliptical, ovoid, cylindrical or bent. The colour ranges from yellowish green to black-red. In botanic, the Vitis sort is divided in two sections: Muscadinia and Vitis. 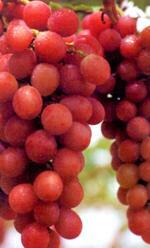 Section Muscadinia: these grapevines are original from the Southeast of the United States and the north of Mexico. Three species are known, all of them with little commercial interest: Vitis rotundifolia, Vitis munsoniana and Vitis mopenoi. Section Vitis: this group gathers the true grapevines. There are multiple species within this section. V. candicans, V. Longii and V. champinii are American species used as rootstock. V. labrusca is an American variety whose fruit is eaten fresh or used for processing natural juice. V. Caribaeae is an original species from the tropical areas of America. It is known as " water liana’ or ‘sour grape’. Some other grapevines of American origin used as understock are V. berlandieri, V. aestivalis, V. cordifolia, V. monticola, V. riparia and V. rupestris. However, the species with greater importance is Vitis vinífera, from which come the main varieties of grape used for making wine.